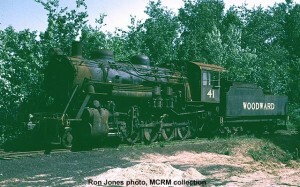 #41 on display in April 2000. Paul Swanson photo. 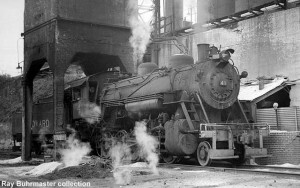 The Baldwin Locomotive Works, Eddystone, Pennsylvania, built this decapod for the Alabama Tennessee & Northern as their #401 in 1928. 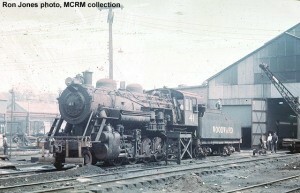 Twenty years later, the engine was sold to used equipment dealer Birmingham Rail & Locomotive Co.
Woodward Iron #41, 1965. Dynachrome (3M) film. Ron Jones photo, MCRM collection. Woodward Iron purchased and renumbered her in 1948 as their #41. Woodward Iron #41 at Woodward, AL, April 3, 1965. Kodachrome film. Ron Jones photo, MCRM collection. #41 at Woodward, Alabama, May 25, 1959. Ray Buhrmaster collection. AT&N #401 at Mobile, AL, 7-30-32. Otto C. Perry photo, Western History Dept., Denver Public Library. 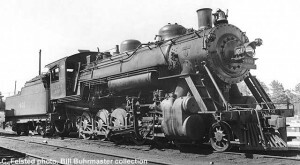 The engine was retired in June 1959. 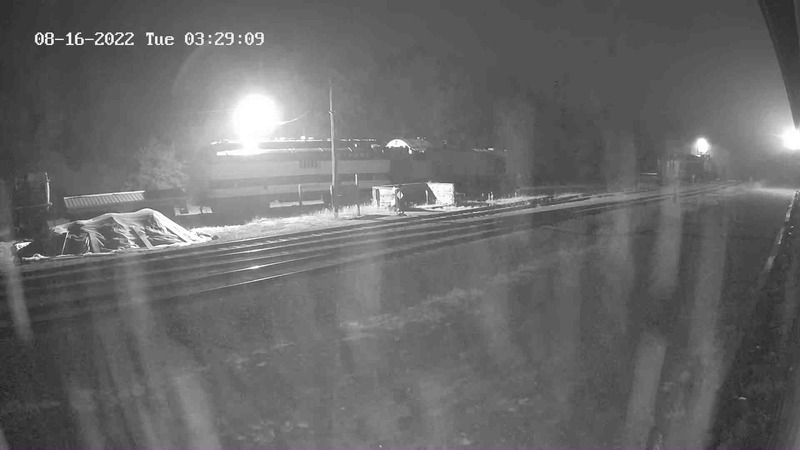 She was donated to Mid-Continent in 1965 and moved to North Freedom where she has tested the light rails ever since. #41 was the heaviest and longest locomotive at Mid-Continent and for many years was on display at the deep end of the freight house display track. This piece of equipment was deaccessioned in May 2015 as part of an effort to rationalize the museum’s collection. The equipment was deaccessioned in accordance with Mid-Continent Railway Museum’s Collection Policy. The sale of artifacts supports the preservation and accessibility of current collections or is used to acquire other, more appropriate artifacts to fulfill the museum mission. The locomotive was sold to the Age of Steam Roundhouse in Sugarcreek, OH.